The trail map products identified with the X Package logo include BOTH the routing Garmin GPS map and files that can be used on smart phones and tablets. 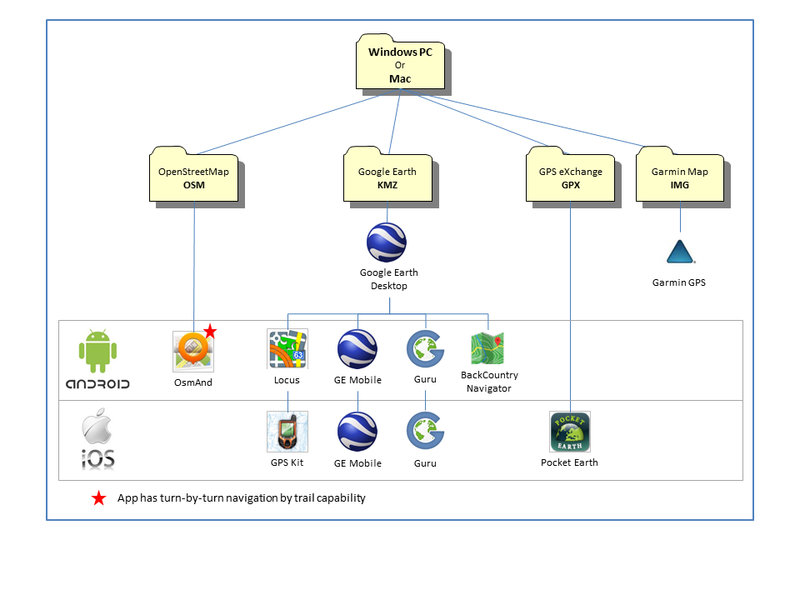 The X Package is a cross platform product that enables you to install our detailed maps on different devices. 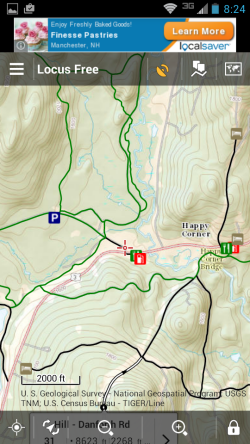 The X Package includes detailed trail and map point data in formats compatible with Garmin GPSs, Android and iOS devices as well as maps that can be viewed on Google Earth. With our cross platform package, you can choose from hundreds of Android and iOS GPS Apps from the Google and iTunes stores. 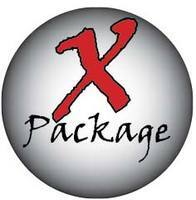 The X Package includes data formats that can be imported for display on an Android or iOS mobile device. Download your favorite GPS App for Android or iOS, import our data and turn your smart phone or tablet into a snowmobile or ATV GPS Trail App. Note: Not all GPS Apps are able to import our map files. Let's step back and look at different map data types. Map data fundamentally comes in two types, vector and raster. Vector data consists of points and lines stored as coordinates on the earth. Raster data consists of images made from individual pixels. The map files provided in the X Package are vector formats. These files contain both points of interest for restaurants, gas stations, hotels, etc. (points) and trail data (lines). A map point is simply a set of coordinates that represent a location on the earth and a name, such as Floe’s Restaurant. Mapping software can display the point on a map. The symbol or icon used to represent the point is typically determined by the map software based on a code that may or may not be a “standard” code recognized by other map software. A line is a series of coordinates (like a point) that when connected (connect the dots) create a line. 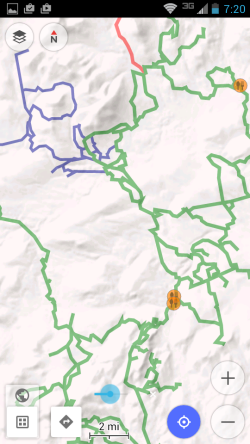 Mapping software can display the line on a map to represent a trail. The line color, line width, line style (dashed or solid), name of the line, etc. is again determined by the mapping software based on codes but these codes are not recognized by all brands of mapping software. Therefore, the way our map points and lines are drawn on a background map will vary from one App to the next depending on the mapping software used. Our X Package contains two “standard” file formats that contain simple map points and lines. These are the GPX and KMZ file formats. We do not add any of the non-standard codes used to display map point symbols and line colors and widths because they are ignored by the Apps that use these formats. GPX and KML file formats are not “routable”. These files do not have the information needed to build a trail network that is used by more sophisticated mapping software to generate turn by turn directions. The X Package includes two proprietary formats with map symbol and line color/style information. 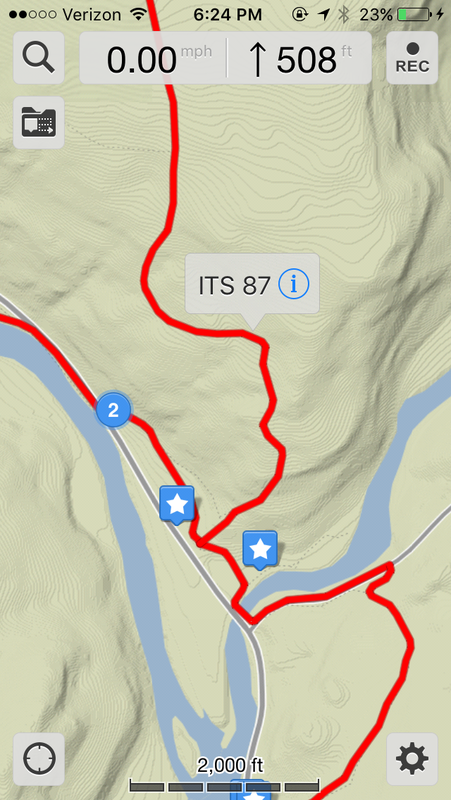 These formats also contain the attributes (codes) for trail name, trail number and routing information such as road class, speed limit and avoidances. These are the Garmin IMG format and OsmAnd OBF file format. As discussed so far, all our map file formats are vector formats containing points and lines, where the lines represent snowmobile or ATV trails. The background map that provides highways, streets, lakes, rivers, etc. 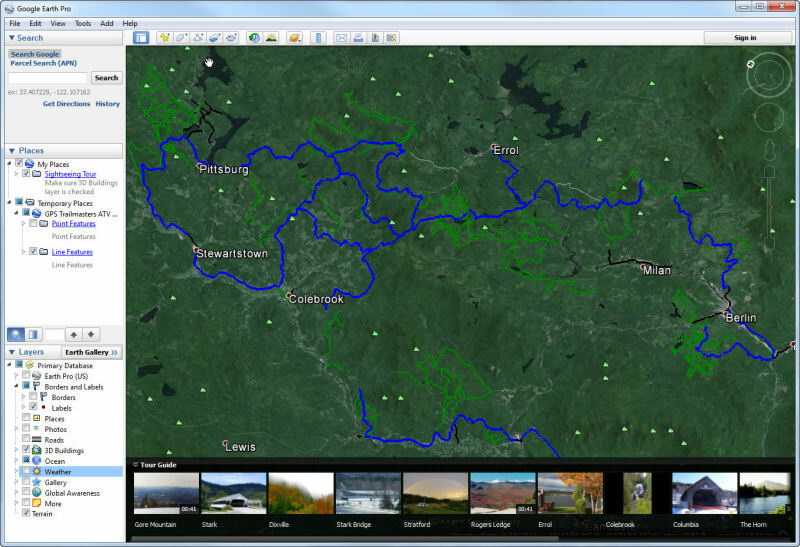 used as a reference for the trails must be provided by the hosting map software. For the Garmin IMG format, your Garmin GPS provides the background map. For the remaining file formats, the GPS App on your iOS or Android device will provide the background map. With your purchase of any ATV or Snowmobile trail map with the X Package logo you will receive all the file formats described above and illustrated in the figure below. Our downloadable installer will copy all the file formats to your Windows PC or Mac computer. Easily import the file format compatible with your smart phone or tablet GPS App from your computer by email. We have provided a few examples of Android and iOS GPS Apps and the file formats which they are able to use below. The map files for your Garmin GPS are distributed in a proprietary Garmin IMG format. These files are placed on your computer and recognized by the Garmin suite of mapping programs; BaseCamp, MapInstall and MapSource. The map files are transferred to your GPS using one of the Garmin programs listed. 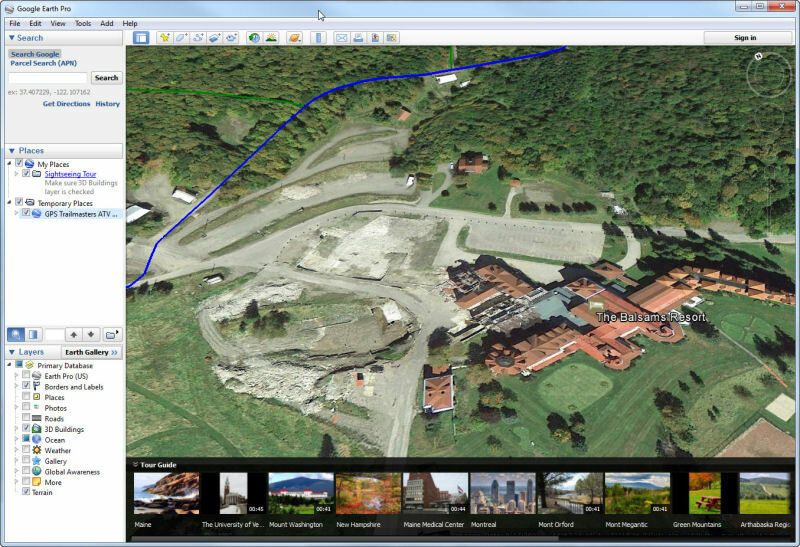 Google Earth is a free mapping application available for your desktop and mobile device. It can be installed to both Windows and Mac desktop computers as well as Android and iOS devices. The Keyhole Markup Language (KML) file notation was developed for use with Google Earth. KMZ files are the zipped (compressed) form of KML. 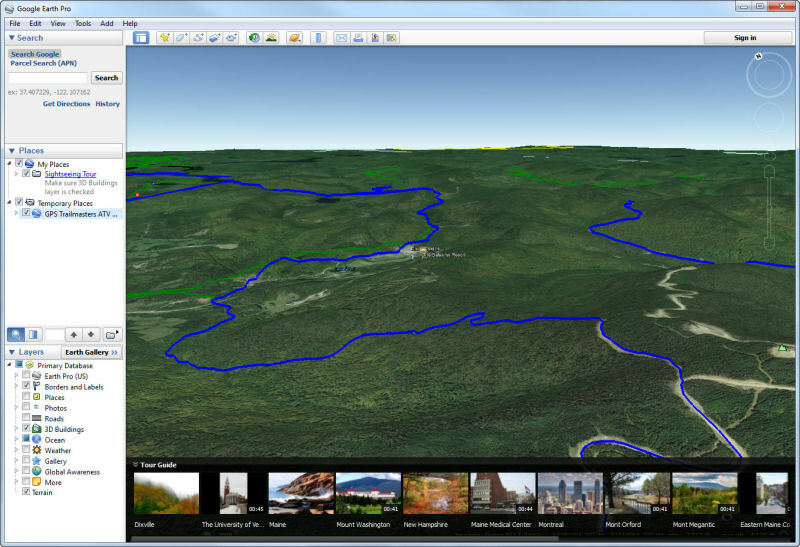 Our trail maps in KMZ file format can be viewed in Google Earth for trip planning and 3D visualization. Follow a snowmobile trail through the New Hampshire White Mountains or check out the vista from an ATV trail in Maine. 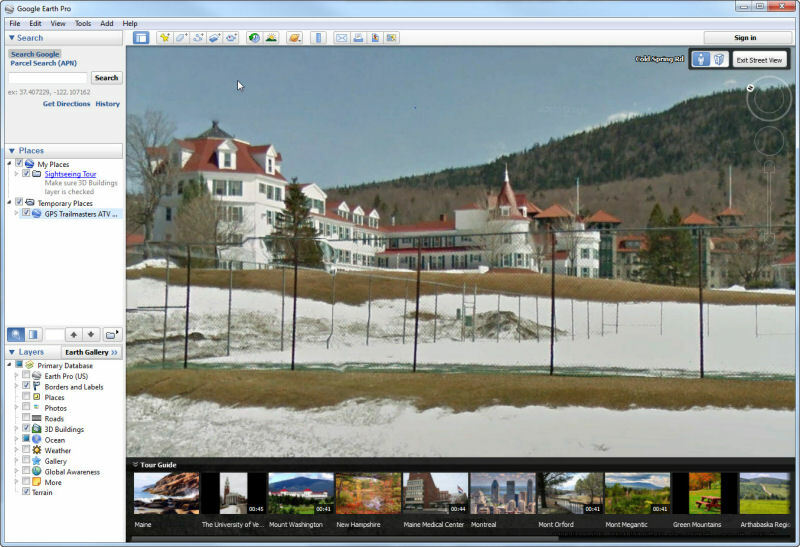 Use Google Earth to investigate trail access from your hotel and even see images of the hotel property. There are hundreds of GPS apps available for iOS and Android devices and the list continues to grow. We have found the apps listed below work reasonably well with our map data but we have not looked at a majority of those available. When searching for a GPS App for your smart phone or tablet, look for those that are designed to work with “offline” maps so an Internet connection is not required. We have found the GPS Apps geared towards hiking and outdoor activities are better suited than those dedicated to navigating roads. Because our map data only contains map points and trails, there needs to be an underlying basemap for reference. The basemap is included with the GPS App. Check the list of features for candidate Apps. Can it import user data/maps? If so, what file formats are supported (GPX, KML/KMZ, etc.)? 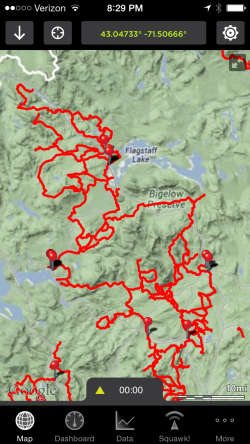 Does it import GPX tracks as one track or does it pull each track segment separately? How does it display a track (one color for all tracks or one color for each track segment)? Can it record tracks and display a breadcrumb trail? Can it auto-route from a GPX track? Does it have a good selection of basemaps? How easy is it to cache basemaps for offline use? Are the basemaps free or is there a fee? Not all GPS Apps are able to import map data and display imported vector data overlaid on a basemap. Not all Apps are able to display our popular color scheme, line styles and map point icons. 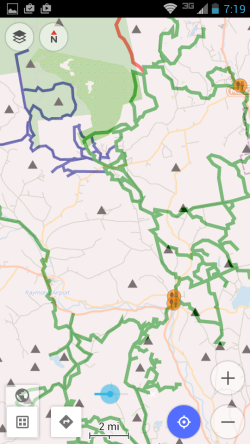 OsmAnd (OSM Automated Navigation Directions) is a map and navigation application with access to free high-quality OpenStreetMap (OSM) data. All map data can be stored on your device's memory card for offline use. Via your device's GPS, OsmAnd offers routing, with visual and voice turn-by-turn directions, for car, ATV, and snowmobile. All the main functionalities work both online and offline (no internet or cellular connection needed). Download the free OsmAnd App from the Google Play store to your Android phone or tablet. Connect your Android device to your desktop computer and copy our snowmobile or ATV trail map data to the folders used by the OsmAnd application. 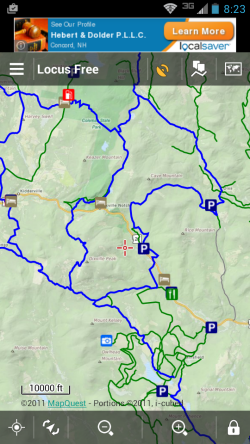 Locus Map is a multifunctional outdoor navigation application with access to a wide portfolio of hiking and street maps. Import your own tracks and points of interest. 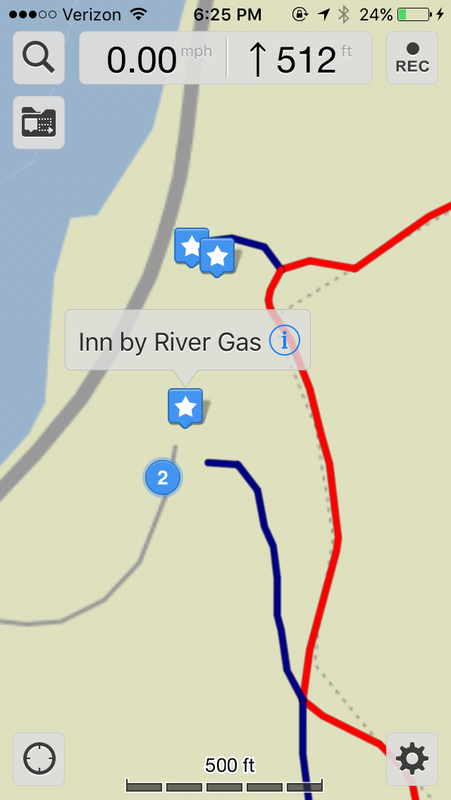 Using maps without an Internet connection is the basic idea of Locus Map. 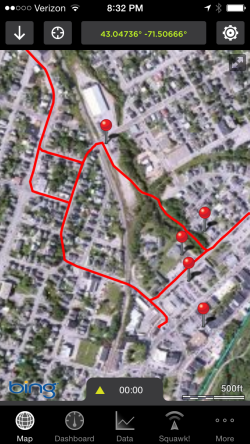 Locus Map offers downloading of offline background maps and allows you to import our snowmobile and ATV trail maps. Record tracks of all your trips and document with photos, videos and sound recordings. Download the free Locus Map App from the Google Play store to your Android phone or tablet. Copy our trail data from your desktop computer to your Android device. GPS Kit is a map and navigation application with access to more basemap options than any other app. Track thousands of points accurately without sacrificing map performance. You can track your rides without an internet or cellular signal. Just cache your map tiles before you go. Share your location with friends & family in real time. Squawk is built right into GPS Kit to help you keep track of your group. Download the free app from the Apple store to your iOS phone or tablet. Use Google Drive or Dropbox to copy our map data from your Windows or Macintosh computer to your Apple device. Guru Maps is a backpacking and hiking offline map application for iOS and Android devices. No internet connection needed. Download states or entire countries. Fastest map and most detailed maps available. Provides GPS tracking to record your route. Take an adventure with Guru Maps. Download the free app from the Apple store to your iOS phone or tablet. Use Google Drive, Dropbox or email to transfer our snowmobile and ATV map data from your Windows or Macintosh computer to your Apple device. 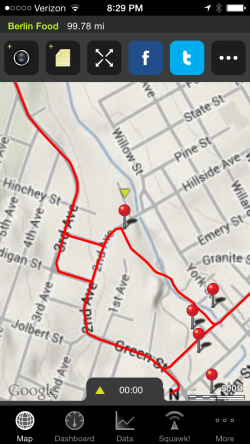 The X Package also includes a Garmin format background map for reference. 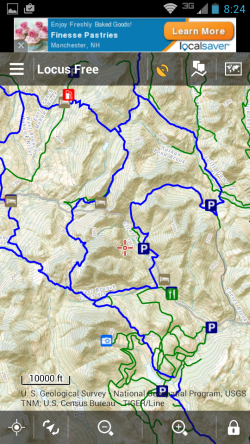 Watch a demonstration of the new background map using Garmin BaseCamp. 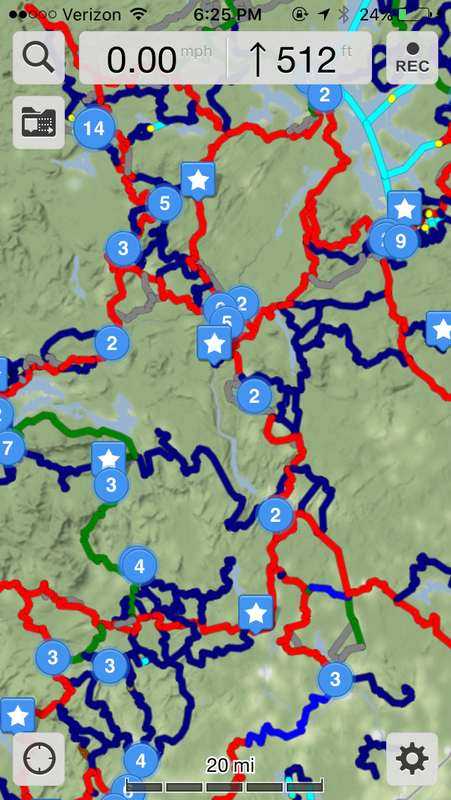 You now have a detailed reference map behind the trails showing major highways, some secondary roads, detailed lakes, rivers, streams, railroads and power lines.